Ann Arbor is an absolutely fantastic places to live, work, and play. But for those who want to stay close to the benefits of small-city amenities while enjoying the comforts of small-town living, the city of Saline, MI might just be the perfect place to call home. Here are some of the best Ann Arbor neighborhoods in Saline. Comprised of just about 250 residents, Brookview Heights is a quiet and friendly community tucked into the fabulous Brookside Golf Course. It boasts a variety of custom-built homes, so no two homes look quite alike. Residents enjoy Pittsfield Township taxes as well as top-rated Saline public schools. A great location of Textile Road gives Centennial Farms a quiet and friendly atmosphere and the conveniences of nearby shopping, dining, and attractions. It’s located within walking distance to Harvest Elementary and the new Saline High (both part of the top-rated Saline Public Schools), and additionally boasts basketball and tennis courts and a resident picnic pavilion. Over 40 acres of natural preserve keep Centennial Park a scenic and serene community of lush natural beauty. It also boasts a private tennis court and a local park with basketball courts. A wide variety of architectural styles give the neighborhood a sense of creativity, while elegant stone and brick exteriors maintain a sense of luxury. 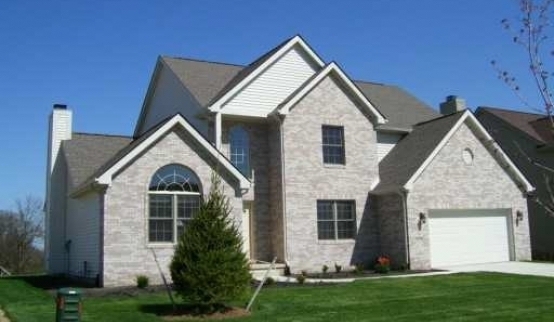 Consisting mostly of 2-story Colonial homes, Lohr Lake Village still enjoys a wide variety of architectural styles. Spacious and luxurious, these homes often feature four or more bedrooms and 2.5 or more baths. Residents enjoy access to top-rated Saline schools like Houghton, Harvest, Heritage, Saline Middle, and Saline High, as well as community walking trails, ponds, fountains, and a pedestrian footbridge. Torwood has been built through several stages of development with a variety of top local builders, ensuring a sense of uniqueness in every home. Mature trees and lush woods protect the peace and privacy of the neighborhood, and there are still lots available to be developed for those who want to build their own home. Plus, it’s walking distance to the shops and restaurants of Downtown Saline, as well as the Saline River and Mill Pond Park. Ready to Find Your Home in One of Ann Arbor’s Best Neighborhoods? If you’re thinking of buying a home in the Ann Arbor area, then it’s time to contact Missy Caulk. As your guide to real estate in Washtenaw County, I’m here to help you explore the area, learn more about relocating to Ann Arbor, discover its beautiful neighborhoods, and find the perfect place to call home.